Vibrant TPV Exhaust System - Dezod Motorsports Inc - Home of the automotive performance enthusiast since 2002. Vibrant’s TPV Performance Exhaust Systems are Engineered To Outperform! 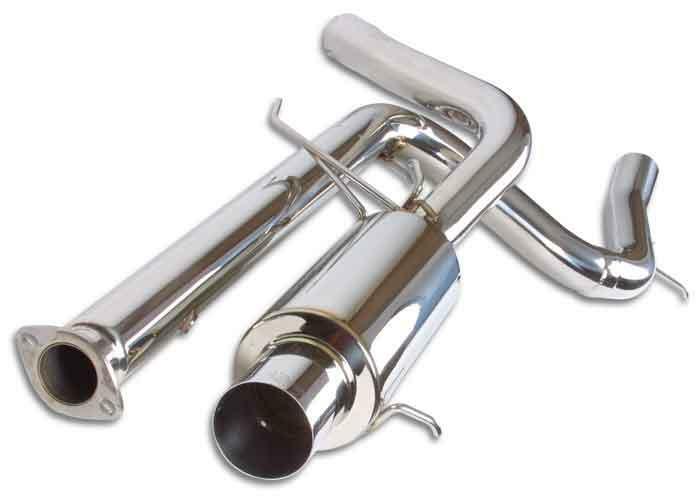 16 gauge T304 Stainless Steel exhaust tubing for superior durability and exhaust resonance control. The tubing is CNC Mandrel Bent for unrestricted exhaust flow. “True Straight Through” Rear Mufflers and Resonators are densely packed with our premium sound suppression materials to help produce a low, deep exhaust tone. Fully TIG Welded at every seam for optimum strength. Lightweight design that doesn’t sacrifice quality. Easy Bolt-On installation, utilizing all stock mounting points.